Black Coffee is taking Gqom to the world. South African deejay Nkosinathi Innocent Maphumulo who is popularly known as Black Coffee is currently working on some fire music with Pharrell Williams. 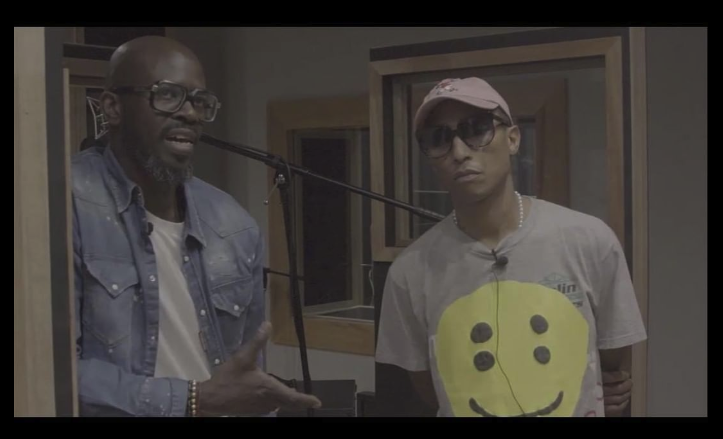 Coffee shared a video on Instagram showcasing himself and Pharrell in studio working together on a heavy Gqom beat as Williams is seen freestyling to it with some catchy rhymes. The six minute long clip gives insights on Pharell’s musical side. The video begins with Pharrell freestyling and then he steps into the booth to engrave the lines on the track. Black Coffee then proceeds to explain how the collaboration came about, He further adds that it was the music that spoke to Pharrell, not a genre.